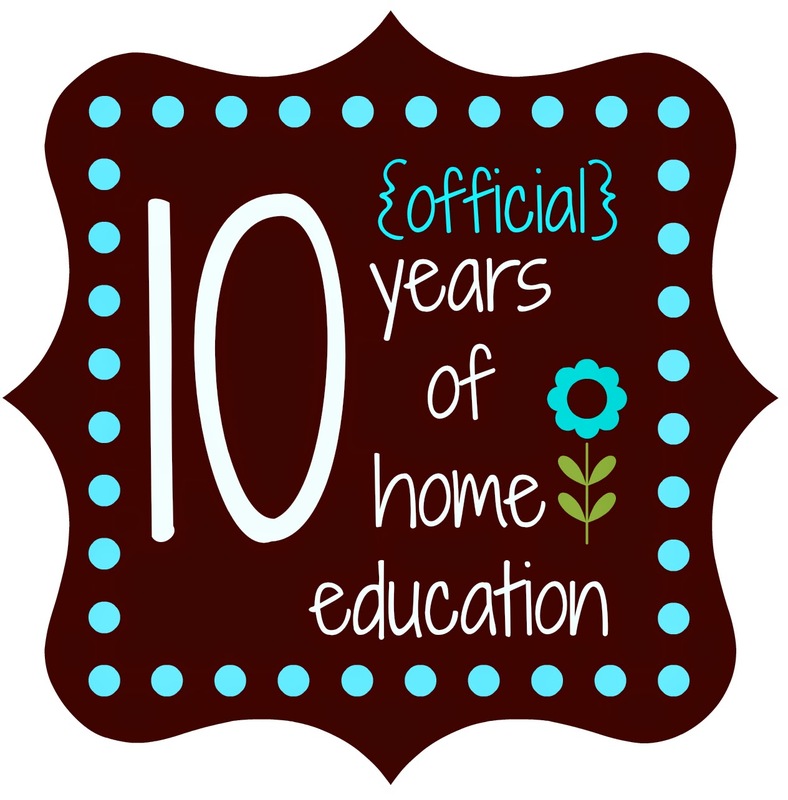 I've decided that 10 official years of homeschooling is something to be celebrated! I am so grateful to God for the strength to persevere through some tough years and some tough situations. There have been so many times I've wanted to take the kids to a school because I was just tired of the arguing or the grumpiness or whatever. There were so many times I doubted if this was really the right thing for us. However, after a little time out (sometimes it was my time out, but sometimes a boy had one) I realized that sending my kids to school would not solve our conflict or issue. Usually, character issues (mine and the boys) were the source of our problems, thus sending my kids away for 6+ hours would not solve the problem. So, all my weekly report posts will have this graphic to celebrate. I think I will even share some words of wisdom as well this year! These past few weeks: Luke and Levi have had four weeks of Foundations and Essentials while Ben and I have been in Challenge for 6 weeks. Levi and I have a great routine for the three days a week Luke practices with the middle school band. This 45-minutes becomes our language arts time, and we work on Logic of English for Spelling and grammar. (I'm wondering if Denise Eide, the creator of Logic of English, is a Classical Conversations mom; her materials are going to prepare Levi so well for Essentials grammar next year!) We are also spending a couple days a week using Primary Arts of Language-Writing (and their DVD). 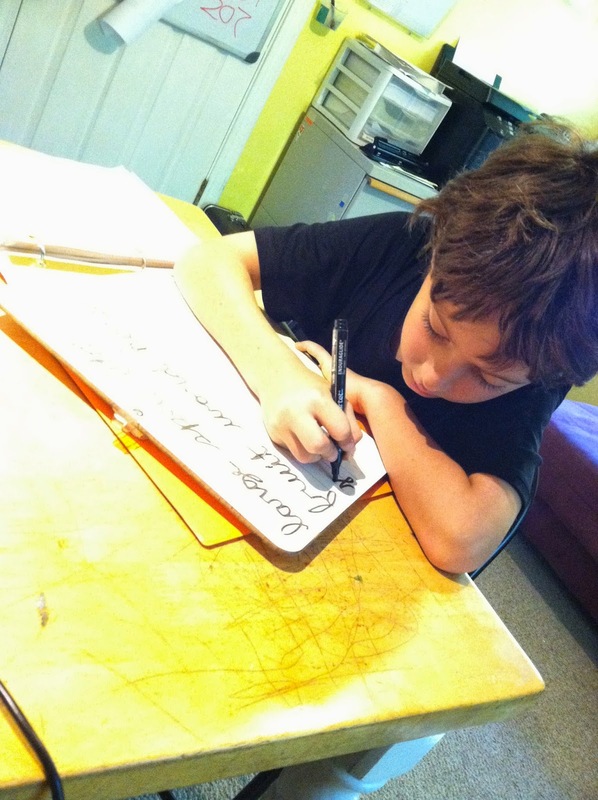 Not everything is applicable to Levi right now, so we are working through the components that will help him with his writing skills. 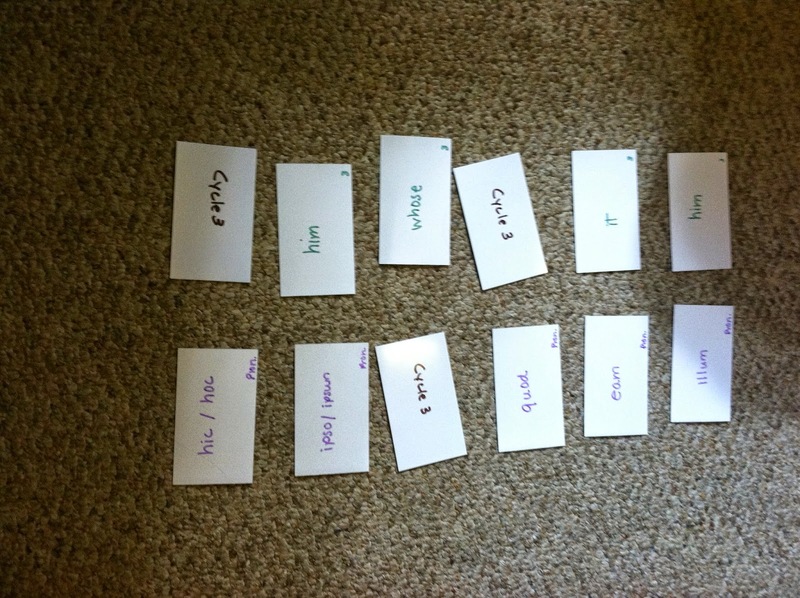 So far, we've worked on who/ which clauses. A project Luke completed for his literature book "Adam of the Road"
Mini-books that went along with our read-aloud "The Phantom Tollbooth"
Ben is doing so well in Challenge plus his online Spanish class. 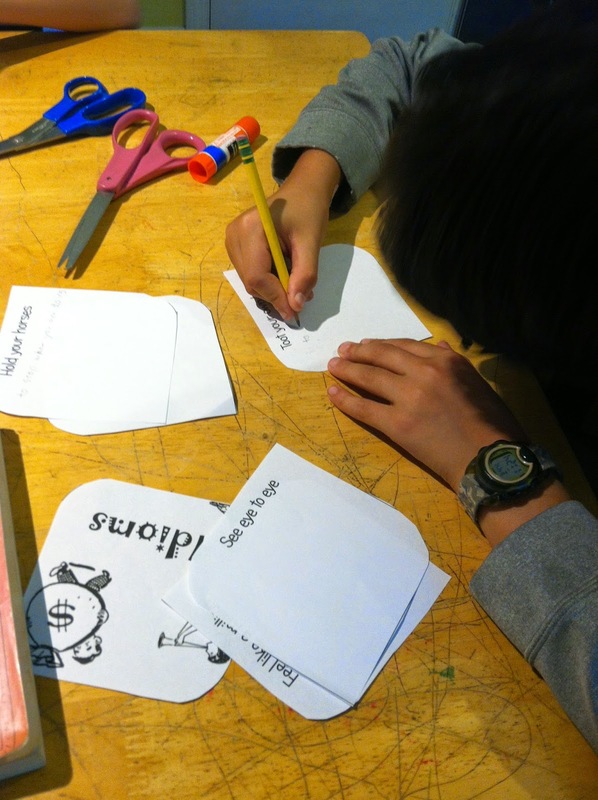 We are still working on time management, though (bein' real -- it is not all perfect here at our home school.). 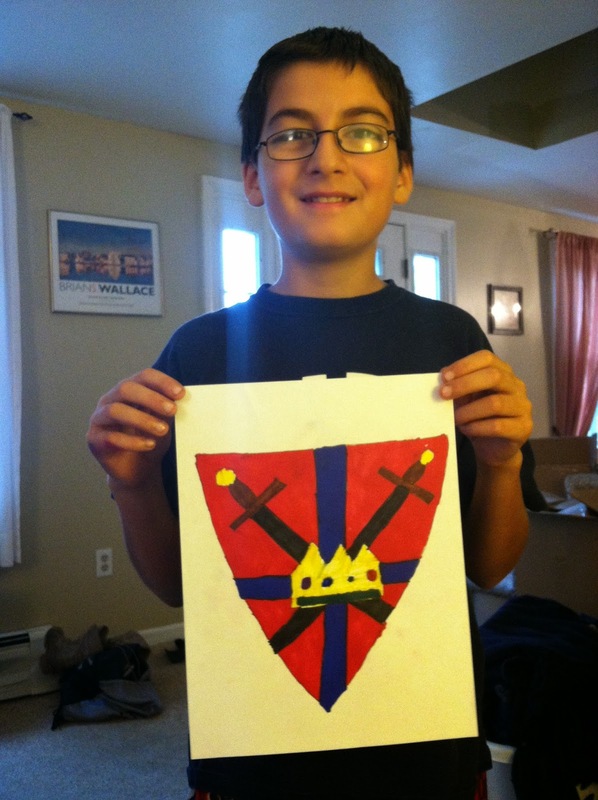 His Challenge class, though small, has encouraged him to turn in quality work. I'm so grateful that CC's writing pace has slowed down from last year -- last year, the students read a book and wrote a paper nearly every week; this year I can honestly say that the course is more about quality than quantity. We are thick into cross country (ends in about 3 weeks), fall travel soccer (all Levi's far away games are done; Luke still has a couple, plus we have a big tournament coming up), and Trail Life USA campouts and events. 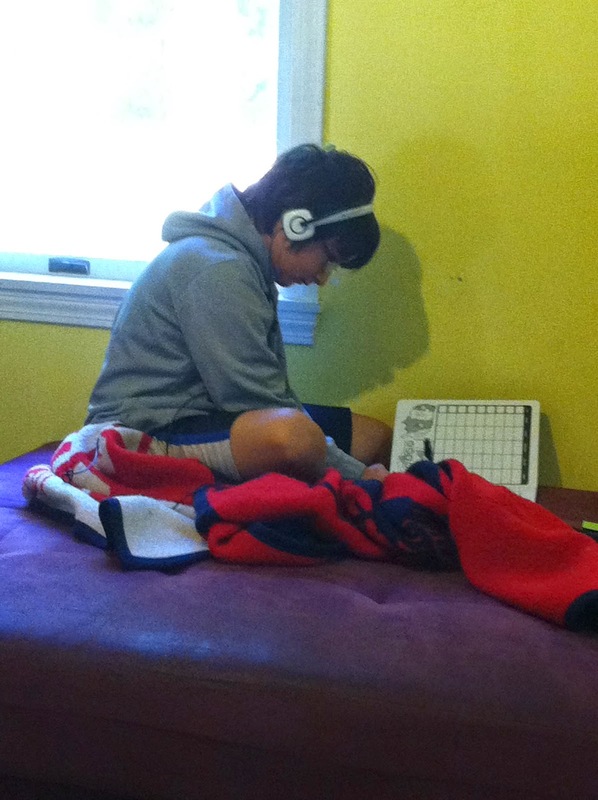 As soon as cross country is over, Ben is going to work diligently on achieving his Freedom award from Trail Life.